It’s what makes driving a Hustler® a better experience. Our mowers have the smoothest and most precise steering. You’ll glide around obstacles and make zero-radius turns with ease. 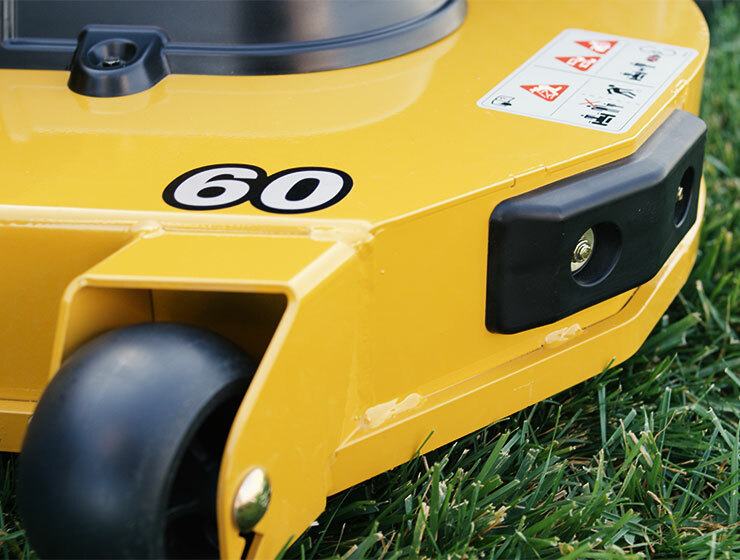 A reduced profile translates into superior handling and stability and greater ease in getting on and off the mower.